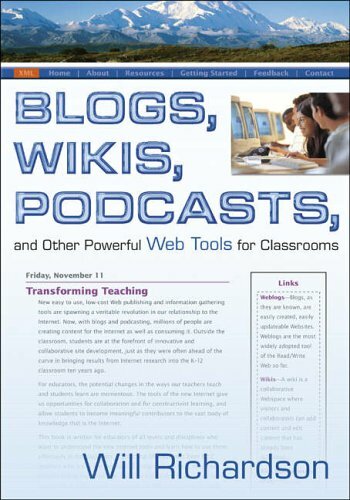 This interview was intended to help someone new to educational blogging to hear candid advice from Will Richardson, author of Blogs, Wikis, Podcasts, and Other Powerful Web Tools for Classrooms. However, as you will see, it turned into much more, with Will strongly expressing his feelings about the need for schools to change. For more interviews, and for information on our educational technology workshops (including those with Will Richardson), please visit EdTechLive. Will is giving a two-day workshop in Philadelphia in early February. 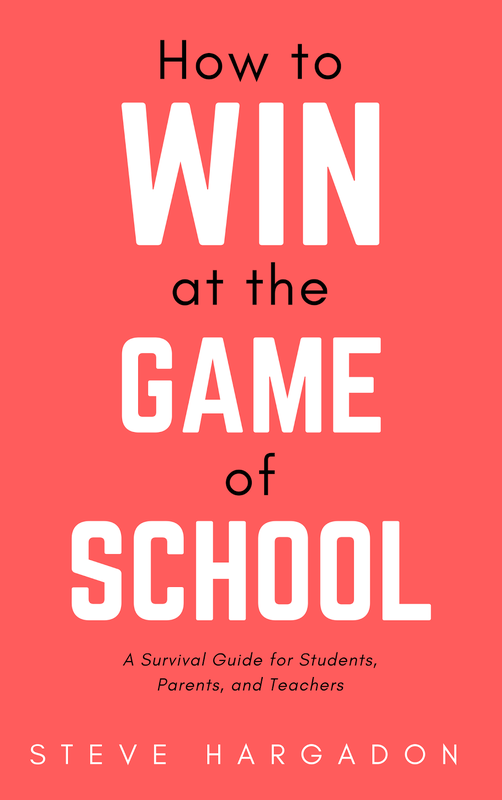 To join in the discussion on School 2.0, please visit School20.net. You'll notice a change in the sound quality when Skype kept crashing and we switched to my calling Will on a land line. Will, as a "frustrated journalist," started blogging in the spring of 2001--at which time there were only 5 or 6 other educational bloggers that he could find. In 2003/2004, something began to happen when interest in what he was writing about really started to take off. He was using blogging in almost all of the classes he was teaching at the time. In the last two years, there has been an amazing spike in the number of teachers and educators who are blogging about what is happening in the classroom. The other educational bloggers he was reading and who were reading his blog became his "personal professional development community." This became "transformative" for him. When I asked him if blogging was as transformative for his students as it had been for him, I expected a really positive answer. However, as he was teaching 9-week classes, he doesn't think that was long enough to see that take place on a general level, even though there were some examples of students who really "got it." So I followed up by asking if he has since seen examples of blogging in the classroom transform students. He said that he is not sure there are a lot of examples of student learning being transformed by blogging and the read/write web tools. This was a surprise, but I think indicates his belief that blogging isn't being widely used in classrooms, not that it's not transformative. In fact, I was expecting that he would mention his own classroom experience with his students and Sue Monk Kidd and her book The Secret Life of Bees. Will feels that he has a pretty narrow definition of blogging: in order to be a learning tool, there has to be some "intellectual sweat"--reading, writing, commenting, and thinking. That's not something he sees a lot of yet, especially in the K-12 level, although he does see it a lot at the college level. It's much more difficult to do on the K-12 level, and whilit is is happening in some places, it's not to the extent he would like to see. Will surprised me with his answer to the question of how to start classroom blogging. I was hoping he would talk about simple things teachers can do to get students to blog. Instead, however, Will kept focusing on the teacher using blogging for their own professional development, which starts by reading educational bloggers and then becoming a part of whatever conversation you are interested in. It reminded me of the maxim that has largely guided my participation in my kids education: if you want your children to love reading, then love reading yourself. Telling someone to have a passion for something carries almost no weight; letting them see you passionate about something provides them with a vision of what that actually means. 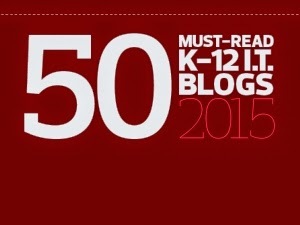 Because of his focus on involving educators in the blogosphere themselves, he starts by teaching about RSS readers. Will has recently really "whittled" down the number of sources (blogs, news feeds) that he reads from approximately 120 to about 20, looking for people who are really good filters of the more general conversations, as he can't keep up with as many sources as he used to. At the same time that he is trying to expand the scope of what he reads to material outside of the educational community, to reach out and give him more perspective. One way that he does this is to use RSS feeds for searches--giving him the ability to track or follow ideas rather than individuals. Will is not sure how many people actually read his blog, but his best guess is between 5,000 - 10,000 people. New bloggers will often ask him, "What should I write about on my blog?" His answer: If you are reading what other people are writing, and if you are trying to take their ideas and see how they apply to your own life, that's great fodder for your own blog. It shouldn't be just a journal or a diary, he says--there's nothing wrong with that, but it won't really leverage what can happen with a blog by making connections with others and their ideas. He likes the idea that students should be "clickable." (As you will hear, I could image alarm bells going of in every administrators head with this idea...) If someone can click on something a student has written, that person can become a potential teacher for the student. If the student can't be found, then those teachers won't find them. I asked Will how you do that without exposing the student to danger. Many of our students already are clickable, he said, but it's outside of their school experience (MySpace, etc.). However, he acknowledges that it will require helping kids know how to do this in safe ways. This may scare us, but it's the way the world is going, and it's already happening for kids. And, he says, we can do this safely--there are tens of thousands of kids doing this already in classes. He says that we don't teach youth to drive by just telling them how to drive and then giving them the keys when they are sixteen--instead, we train them and sit next to them while they actually drive. Even though schools and districts are blocking and filtering a lot of the sites of the read/write web, he thinks that they know that this is a short-term answer, and that most educators realize that they will need to figure out how to use these technologies. Otherwise, he thinks they know that they will left behind and obsoleted. Education is not inherently collaborative or social right now, but the rest of their life will be so. Will's vision: the classroom walls need to be mentally obliterated. 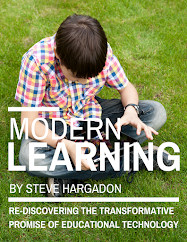 We have to get beyond the building--learning does not need to take place in a physical space. Our kids have to do work with real audiences and real purposes. If we're just passing paper between students and teachers, we are going to be left behind. We have a huge opportunity to make education a "community" process. There is a lot of learning that we can do in our own community that can be facilitated by these technologies. The One Cleveland project, which allows everyone in the community to interact with students--for example, where local doctors could answer student questions while they are watching a surgery being performed. We don't need to go around the world to do this. We have to re-envision our teacher preparation program. We can't keep producing teachers that are being prepared with old paradigms--we have to help them be continuous learners and much less content-oriented. There is a lot that has to change, because there are going to be many, many alternatives that are going to be cropping up for kids that will allow them to opt-out of education as we know it. He doesn't think he's the all-knowing expert on school reform, but as someone who has had a pretty powerful experience with these tools, and who comes at this conversation knowing that his own learning environment is nothing like what he sees in classrooms. He's not sure how this is going to trickle down into systemic changes, but is convinced that schools will become irrelevant if they can't embrace them. 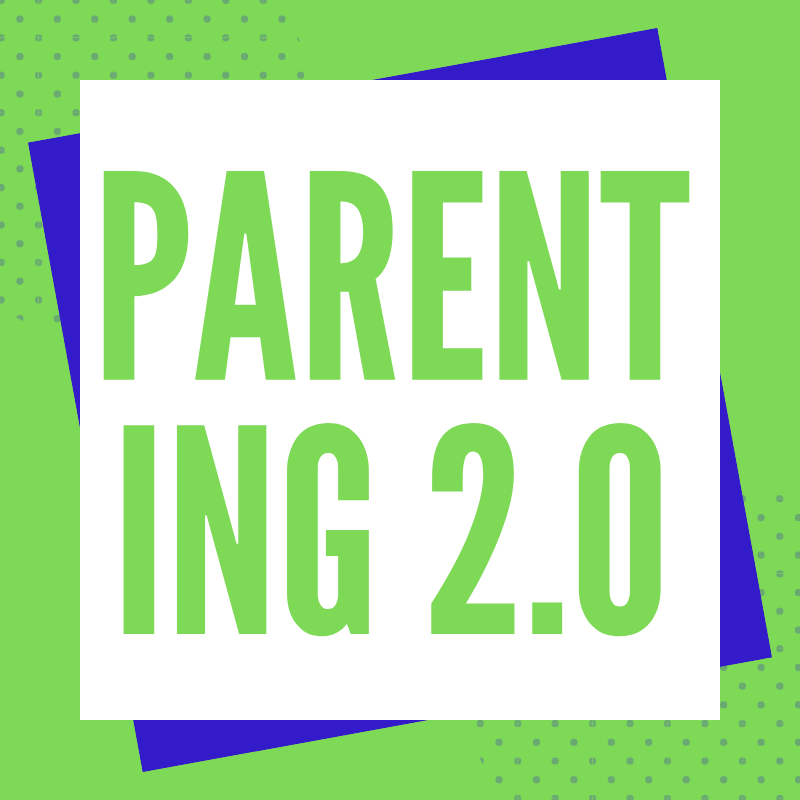 We have no idea of what the future for our kids is going to look like in even five years, so we have to teach them how to be ready for anything: how to build their own learning communities, how to find their own trusted sources of information, how to network their ideas, and how to publish, become clickable, and be creative. On building "Engaged Schools" too much of what we are doing in classrooms designed to strengthen their weaknesses, instead of running with their talents. Teaching is changing, and it's going to take a much different type of teacher to be successful in the classroom than has been the case for the last eighty years.